Bloodroot seems to be the most fleeting of the spring ephemerals.... Unlike hepatica or spring beauty, which may bloom for a few weeks in any given location - most bootroots in any given location seem to bloom within a matter of a few days. The flowers last a few days at most and then are gone. If you mis them - well, there's always next year. How many times have I shown up hoping to find these flowers, only to be greeted by their leathery leaves, bereft of blooms. So today I was lucky and stumbled into the woods at a time when the bloodroots were blooming like mad! I spent a few hours in the woods, now lush with spring wildflowers (and lots of wild leek) - and I have a bit of material to comb through. But upon getting home wanted to be sure that I managed at least one passable bloodroot image - and this one seems to fit the bill. More bloodroots and other spring ephemerals to follow n the next few days. Here are a few more photographs of spring wildflowers, taken earlier this week in Cass County, Michigan. The first four images are hepatica. These beautiful (although small) flowers can be found in a range of colors - as you can see in the photos which vary from purple to pink to creamy white. The last photo is Harbinger of Spring (Erigenia bulbosa) also known as Salt and Pepper. This flower vies with skunk cabbage as one of the earliest flowers to appear on the forest floor. Click on the images for larger files. 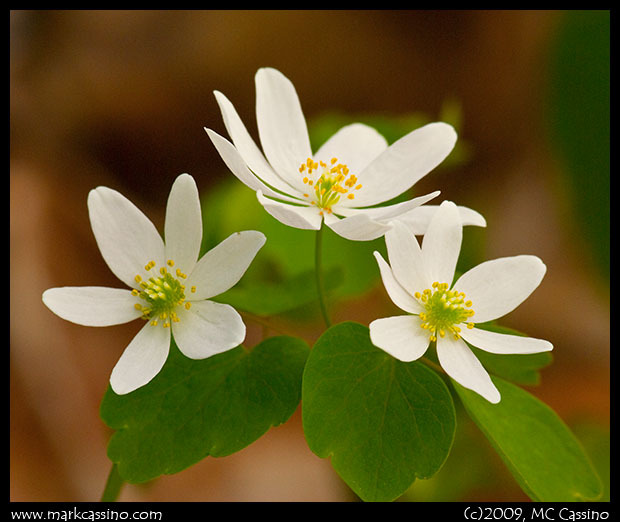 Hepatica and Harbinger of Spring are spring ephemerals - wildflowers that exploit the few weeks in spring when full sunlight reaches the forest floor. These plants emerge to soak up energy from the sun before the trees leaf out and the forest canopy shades the ground. Individual plants have just a few short weeks (or even days) to build up energy, store it in their root system, flower and seed, and then go dormant again until the next spring. Spring ephemerals emerge in certain sequences - some species appearing earlier than others. The Heaptica is just getting started and still to come are Spring Beauty, Trout Lily, Trillium and many more. 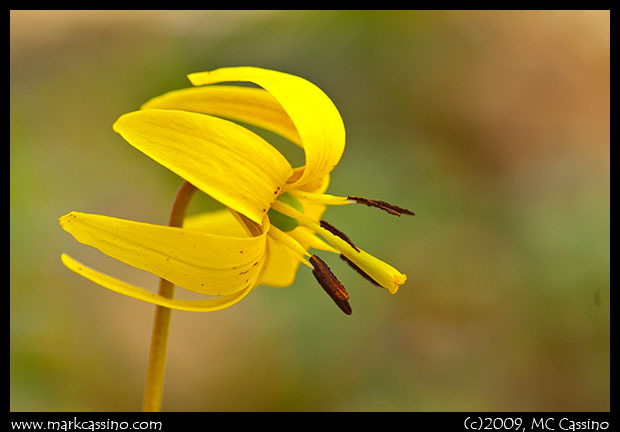 Check out the wildflower gallery for selected wildflower images from prior years. 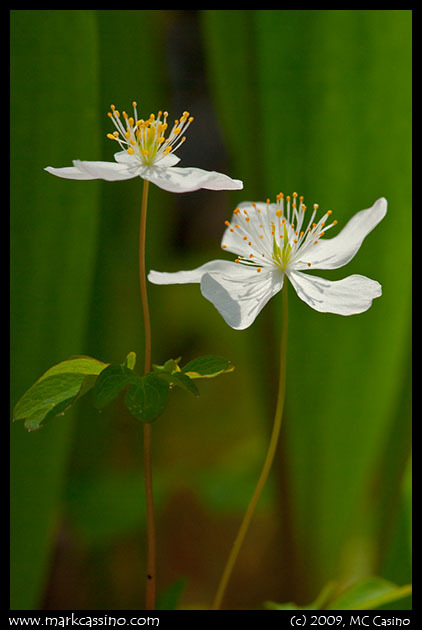 For blog posts about hunting wildflowers in southwest Michigan starting in 2006 - see the wildflower catergory. Spring is a season when things change fast. If you watch closely, you can sometimes see the turning point – that particular day when winter’s inertia finally gives way to the compelling changes that come with spring. It’s the day when the grass turns green. It’s the day when the buds on the trees reach a critical mass, and as you look down your street you no longer see wooden skeletons, but the green, red, and yellow fringes of new growth and life. While this transformation may seem to be abrupt and sudden, it is really is the result of long preparation. Spring is the season of rebirth, but rebirth is not a haphazard or random event. Rebirth comes when elements are mixed together, daring the universe with their potential, and awaiting the spark of warmth, the spark of light, the spark of Spring – that triggers the annual renewal of the earth. When the skunk cabbage buds burn through the snow in late winter, they are laying plans for spring. When a tree buds out in February, it is making plans for spring. When the first green shoots push up through dried leaves on a cold March day – they are making plans for spring. At the turning point, those plans are quickened and made real. It’s a not a grand event, not a planetary phenomenon, but rather each square foot of soil builds it’s potential, and then unleashes it when the turning point comes. This year, here in the place where I am, things turned around 3:00 AM, Friday morning, April 24th. That’s when the first really warm air of the year arrived – I know that because it came in a grand display of thunder and lightening, that woke even me. Although the weather forecasters predicted that Thursday would be a warm day, it fell short and turned out to be a bit chillhy, a bit cloudy, and a bit like March. But once the storms rolled through on Friday moring, the night air warmed and the next day the earth turned green. All the plans that nature had laid suddenly came to fruition. I visited some of my usual haunts in Cass County. The woodland wildflowers are truly at their peak. Hepatica is still standing, but has faded and is now rare. Anemone – wood, rue, and false – is everywhere. So too is Spring Beauty, Trout Lily, Dutchman’s Britches and Squirrel Corn. Isolated patches of Bloodroot still bloom, but in most cases this early spring flower is gone, leaving its leaves to grow to incredible size. This is the sweetest time of year, when the trees are just beginning to bud out and have a faint glimmer of green to their branches; and when the forest floor is radiant green, sprinkled with the wildflowers. Looking ahead – Trillium is just staring to open and May Apple is just starting to unfurl it’s umbrella-like leaves. Like I said, this is the turning point.